Dan applies the finishing touches to his Jacob Marley make-up for a production in Allentown, PA, 1981. Dan (right) frightens Ebenezer Scrooge. 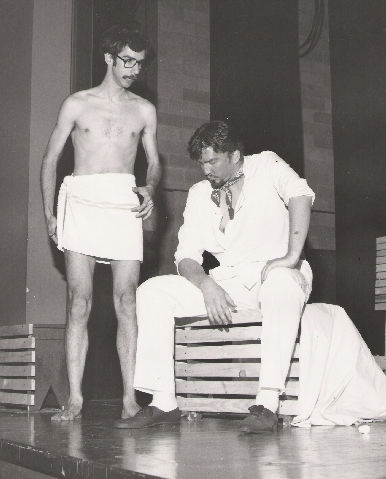 Dan (far right) in his 1981 High School Production. 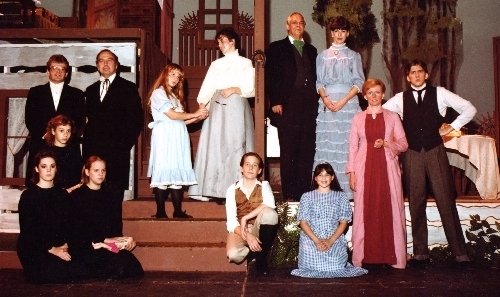 Dan (middle) portrays John Hancock in this Pennsylvania Playhouse production. 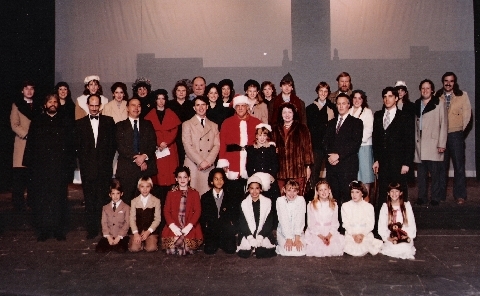 Dan in this 1983 Pennsylvania Playhouse production. 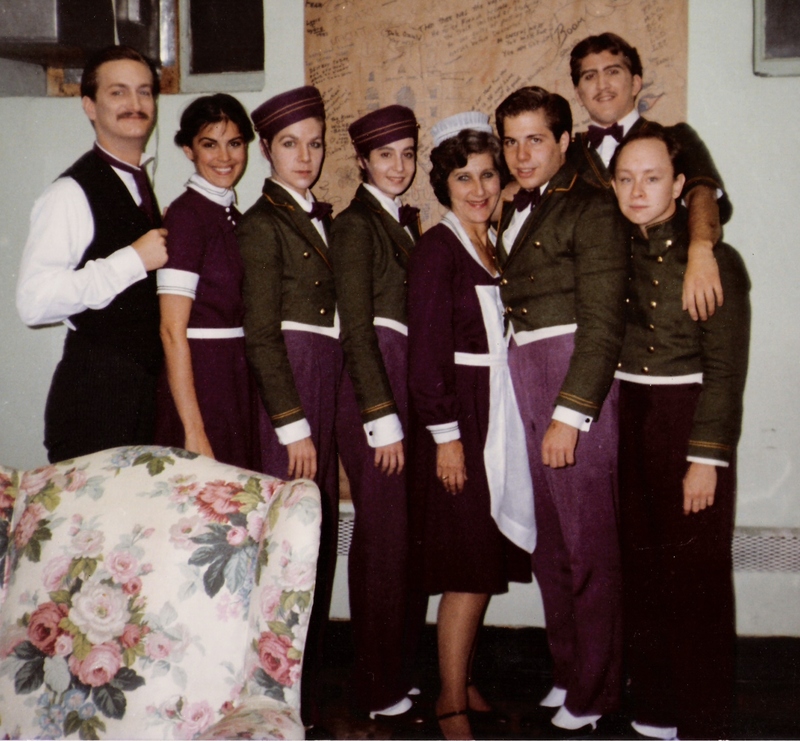 Dan (top left) acted in this 1982 Pa Stage Company production. 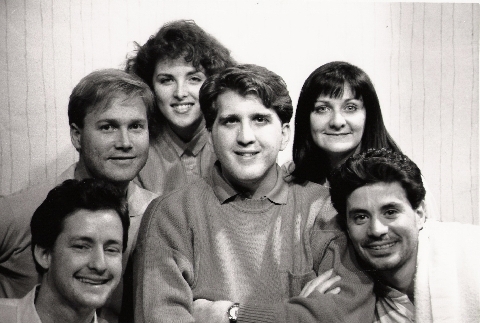 The first Miracle cast with Hunt Matthews, Rod Gilkeson, Sally Reith and Jenny Weingardner. This play was written and directed by Dan. Dan (middle) in this production. Dan portrays Histerium in this Pennsylvania Playhouse production. Dan (bottom) and Kevin Knauss (top). 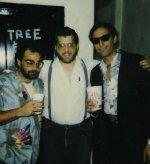 Dan (right) and Kevin Knauss (left). 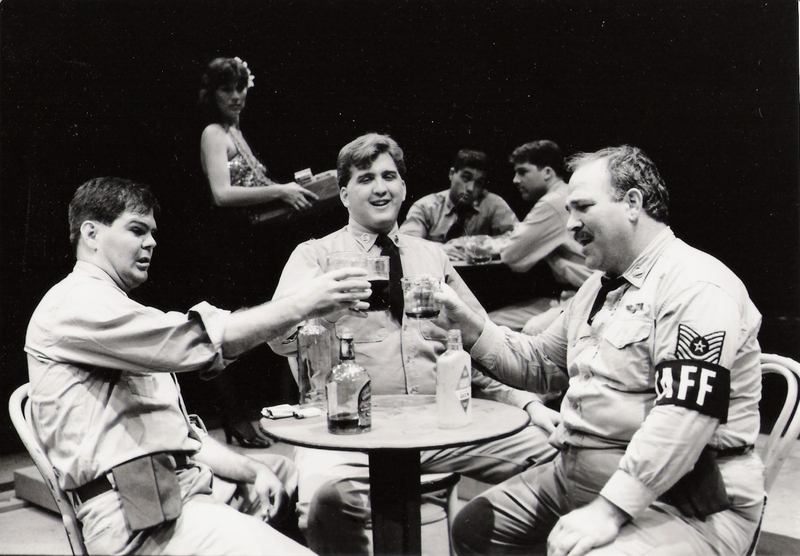 Dan (top middle) with Charles Nelson Rielly (second from left) in this production. Charles Nelson Rielly and Dan (upper right corner - on poster). 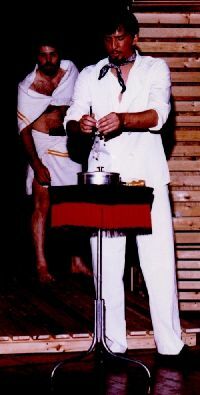 Dan (right) in the role of "God" with Steve Fatzinger (left). 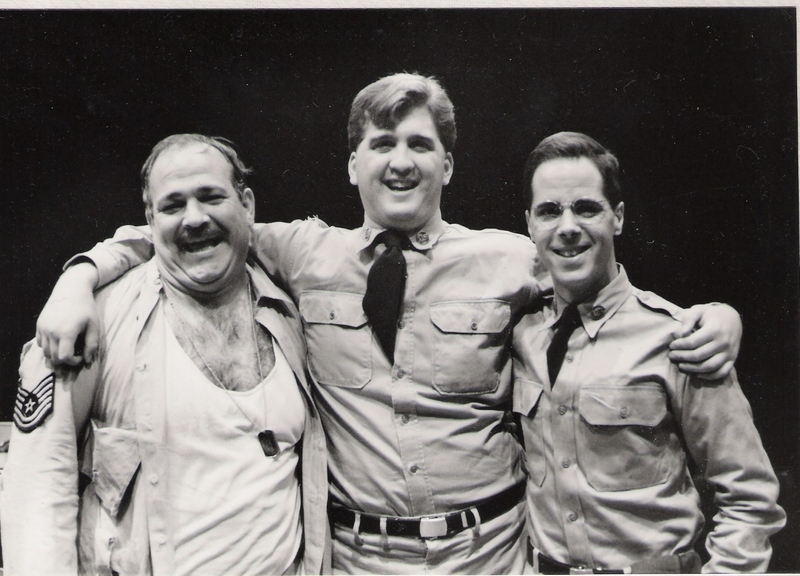 Dan (right) in the role of "God" along with long time friend, Scott Brunell (left). 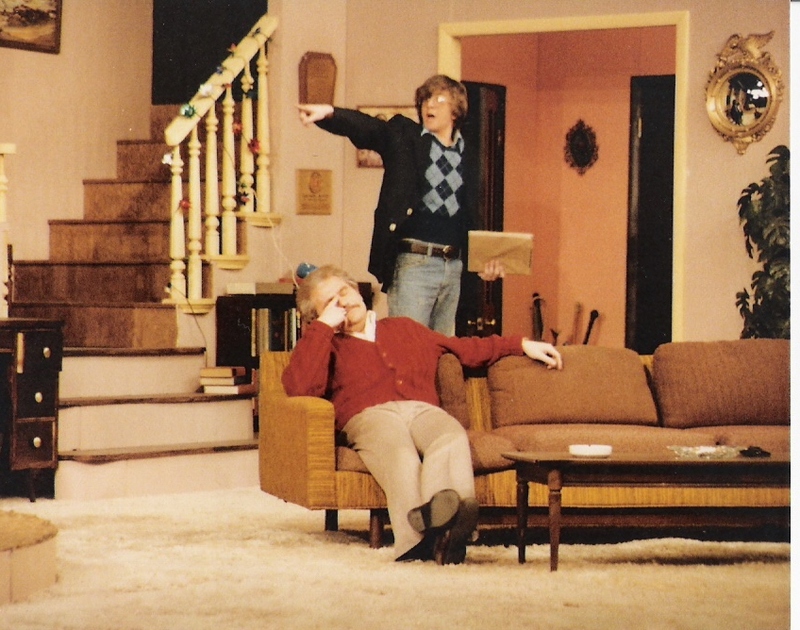 Dan (right) portrays the Cowardly Lion in this 1981 Civic Little Theater production. 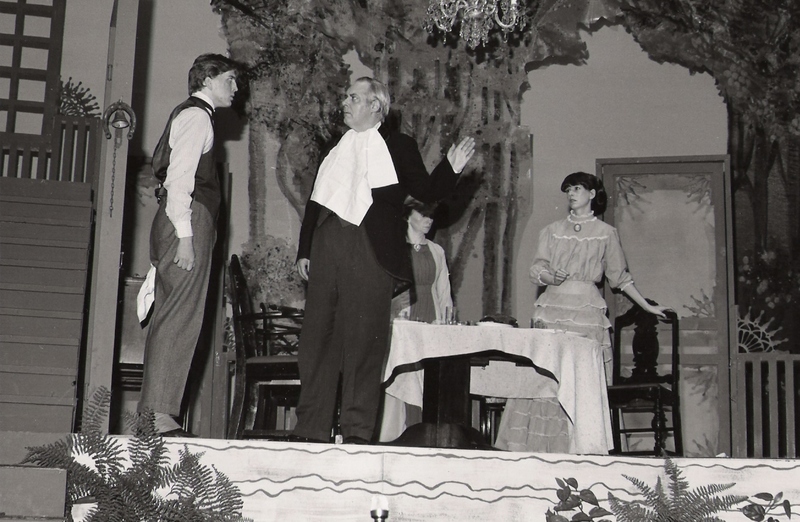 Dan (far right) portrays James Keller in this Civic Little Theater production.